This is an 1950s A. Zildjian ride with a beautiful shimmery bright and dark sound. No keyhole or cracks. 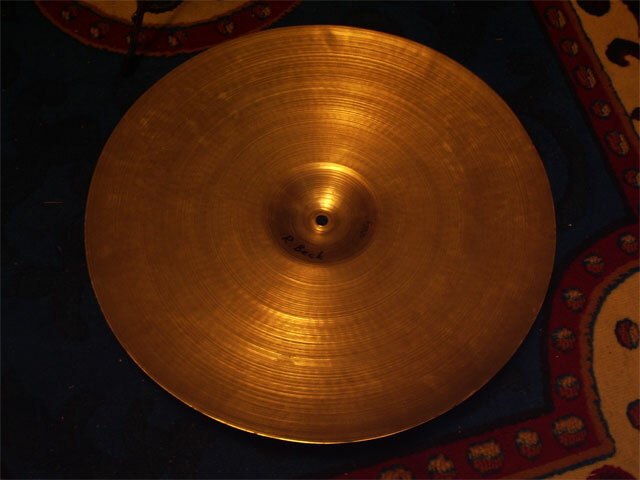 This is a clean cymbal, It has been polished a couple years ago I quess, because it is still nice and shiny, not like some of the dark green patina cymbals, but a classy and mature golden luster. This cymbal breathes and sounds dark with a light stick sound and responds quickly and overwhelming to a bigger stick like a 5A. 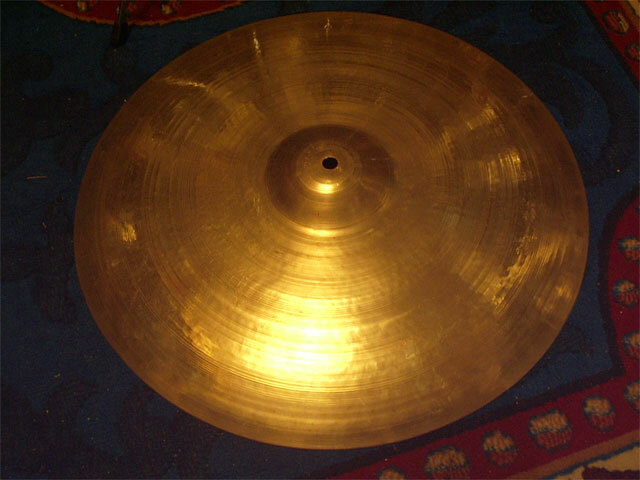 This is a fifty year old ride cymbal, great cymbal for jazz as well as any other musical setting.